I am a Year 6 learner at Tamaki Primary School in Auckland, New Zealand. I am in Room 7 and my teacher is Miss Ashley. 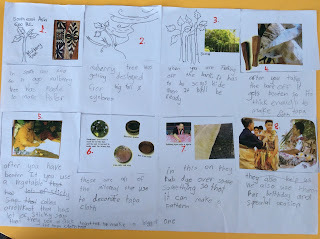 I loved sharing my knowledge about the tapa cloth with my friends. If you need to teach someone you first need to teach yourself. You also need to learn new words. If you do not know how to make a tapa cloth, just follow the steps below.